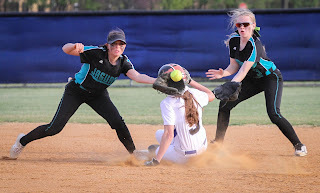 CLICK HERE to listen as #2 Atlee battles #1 Lee-Davis in Top 10 Softball Action tonight on RVA Sports Network at 6:45pm! Here are the latest Conference 16 standings for spring sports, noting a few records are incomplete. Orange and Halifax do not play lacrosse. With ODAC Tournaments just days away now for three sports, let's take a look at what Randolph-Macon teams need to do to make the postseason and get the best possible seeding. 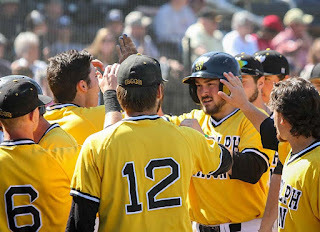 BASEBALL: The Yellow Jackets may be ranked second in the nation but they enter the final weekend of the conference regular season in third place at 12-6, a game behind both Shenandoah and Washington and Lee. All three teams are on the road Saturday, but from a strength of schedule standpoint, Shenandoah holds the inside track, traveling to Lynchburg, who is 5-13 in conference play, just 9-26 overall. Washington and Lee is in Farmville to face Hampden-Sydney, who is coming off their fourth consecutive win over the Yellow Jackets 7-6 back on Tuesday. The Tigers, at 10-8, are tied for fifth with Bridgewater, each a game ahead of Roanoke (9-9), who enter the weekend on the outside looking in, seventh place when the ODAC Tournament only takes the top six teams. Roanoke goes to Bridgewater in, essentially, a play-in doubleheader. A Maroons sweep puts Roanoke in, and sends Bridgewater home. But if Hampden-Sydney is, too, swept in this scenario, the Eagles and Tigers would both finish 10-10, tied for sixth, and they split their doubleheader April 10th. Randolph-Macon is guaranteed a berth in the tourney, but could travel to Lynchburg as anywhere from the top seed to the sixth seed depending on weekend results. The Yellow Jackets have the advantage of playing the last-place Wasps of Emory and Henry (4-14, 10-28), but had to take the five-hour trip to Exit 24 on Interstate 81 to do so. The Yellow Jackets must sweep the Wasps for any hope of winning or sharing the conference title. Then, they need both Shenandoah and Washington and Lee to either split their respective twinbills to share it, or get swept to win it outright. The ODAC Baseball Tournament begins Thursday at City Stadium in Lynchburg. SOFTBALL: Virginia Wesleyan has won the ODAC regular season crown, and Eastern Mennonite has finished their conference schedule at 13-5. 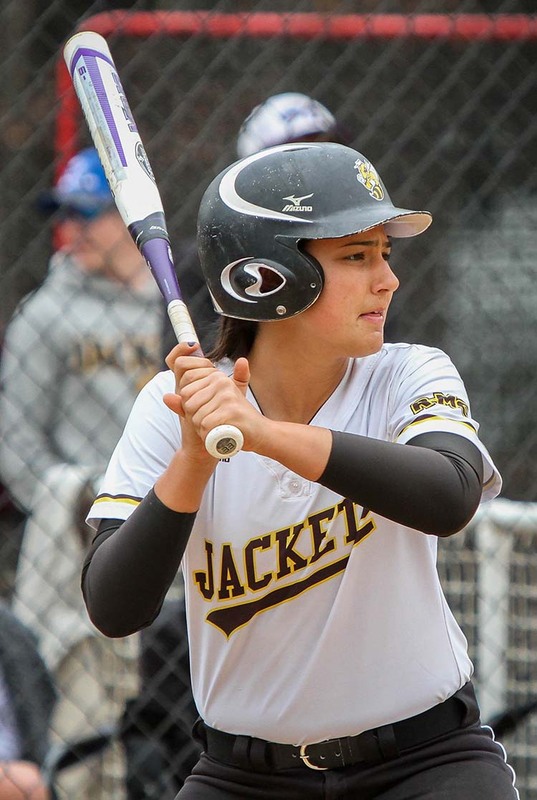 Both Randolph-Macon and Lynchburg enter the weekend tied for third place at 11-5, and the Hornets are in Ashland to face the Yellow Jackets on the Senior Day for Patrick Henry graduate, catcher Madison Gilman, and center fielder Sierra Ford. A sweep by either team places them in a second place tie with the Royals, but Eastern Mennonite holds tiebreakers over both teams, having swept Randolph-Macon and Lynchburg earlier in the season. So the third seed in the ODAC Tournament, with an eight-team field, is up for grabs Saturday just across the railroad tracks from Day Field. This is important, as the third seed heads to the opposite side of the tournament bracket from Virginia Wesleyan, a team opponents want to face as late into the tourney as possible. Randolph-Macon split their doubleheader with the Marlins, handing them their only conference loss thus far. Roanoke, two games behind in fifth at 9-7, must host the top-seeded Marlins Saturday for two games. It will be interesting to see whether Virginia Wesleyan rests any starters since their tournament seed is locked in. The ODAC Tournament starts Friday, April 29th in Salem. WOMEN'S LACROSSE: Randolph-Macon is now tied for first in the ODAC at 6-0 with defending champion Washington and Lee. With the Generals heading to Ashland this Wednesday night, the Yellow Jackets must first defeat Randolph College on the road Saturday. The Wildcats are 1-6 in conference play, 2-13 overall. The Generals host Guilford Saturday, the Quakers tied for third place at 5-2. If the Yellow Jackets and Generals win Saturday, Wednesday's 7pm showdown at Day Field will be for first place, and possibly will determine the ODAC regular season crown and top seed in the conference tournament which begins at higher seeds on May 3rd. 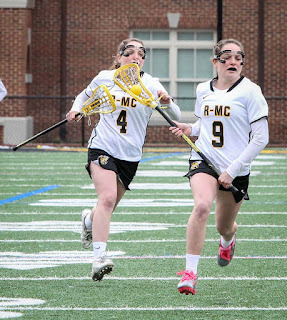 A number one or two seed gives Randolph-Macon a bye to the semifinals on May 6th, where they would host a quarterfinal winner. Thus, Wednesday's match could also determine the site of a possible rematch for the ODAC Tournament Championship if the Yellow Jackets and Generals finish as the top two seeds, either Lexington, or the Center of The Universe. 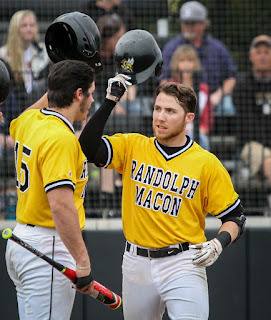 BASEBALL: Randolph-Macon scores a run in the eighth inning to defeat Roanoke 4-3 Sunday, moving into a three-way tie for first in the Old Dominion Athletic Conference (ODAC) with three regular season conference games to play. The Yellow Jackets are now 26-5-1 overall and host rival Hampden-Sydney Tuesday at 3:30. 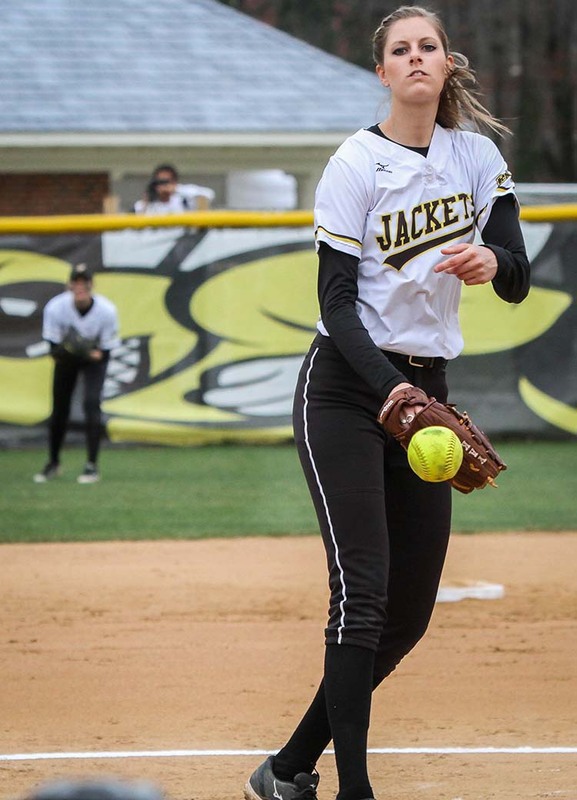 SOFTBALL: Randolph-Macon completes a 4-0 weekend in Ashland with wins of 3-1 and 9-1 in six innings over Emory and Henry to improve to 11-5 in the ODAC, 28-10 overall. Nelda Bagley scattered three hits in the game one victory, while Patrick Henry graduate, freshman Candace Whittemore went the distance in game two. The Yellow Jackets host Lynchburg for a Senior Day doubleheader this Saturday, trying to clinch as high a berth as the second seed in the upcoming ODAC Tournament. HIGH SCHOOL POLLS: Hanover baseball and Lee-Davis softball remain atop the new RVA Sports Network Top 10 polls, while two other baseball and the other three county softball teams are all in the Top 10. Meanwhile, several county teams debut in the new RVA Sports Network Super 6 polls for soccer and lacrosse. CLICK HERE to see all the latest spring sports polls! RVA Sports Network has Hanover County covered tonight with live coverage of Rivalry Night action in Top 10 Softball, Top 10 Baseball and Soccer! 1) CLICK HERE to LISTEN LIVE as #7 Patrick Henry battles #1 Lee-Davis in softball as "Softball Week" concludes on the RVA Sports Network High School Game of The Week, airtime 7pm! 2) @hanoversports on Twitter has score updates from the softball game above, plus updates from Patrick Henry at Lee-Davis baseball and boys soccer, starting at 7pm and 7:30pm respectively. We'll have a complete score recap here on our website later tonight as well as on our Facebook page! We'll use the hashtag #RivalryNight on Twitter all evening. Be sure to join us! 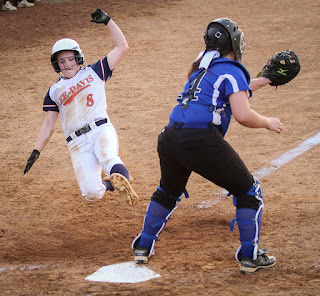 1) Due to the postponement of Tuesday's softball game between Mills Godwin and Lee-Davis, RVA Sports Network will now present Patrick Henry at Lee-Davis softball as part of "Softball Week" on Friday at 7pm. 2) We have added the rematch between #2 Atlee and #1 Lee-Davis softball on April 29th. That game will be broadcast live by RVASN. 3) On Friday May 13th, we will broadcast a game between Patrick Henry and Atlee. We will decide whether it will be baseball, softball, or boys soccer as we get closer to the date, looking for the game that has the most playoff implications in Conference 16. Softball Week begins tonight LIVE only on RVA Sports Network as the Atlee Raiders look to bounce back as they host the Glen Allen Jaguars. CLICK HERE to listen live to the Raiders and Jaguars beginning at 6pm! Hanover County dominates the top of both the inaugural RVA Sports Network Top 10 Baseball and Softball Polls. In baseball, the Hanover Hawks debut in the top spot, while upstart Lee-Davis grabbed the #2 position. Both Atlee and Patrick Henry were just out of the inaugural Top 10 Poll. In softball, all four county teams are in the top seven, as defending 5A State Champion Atlee takes the top spot, with rival Lee-Davis right behind at #2, while Hanover debuts at #5 and Patrick Henry in seventh. To see the entire Top 10 Polls, CLICK HERE.